The land of Beauty also known as the land of Charm, Manali blessed with the most spectacular and eye catching views and is consider as the travellers paradise. In a year Manali is visited by thousands of visitors. Travellers who love to spend their vacations amidst culture and luxuries for them Manali offers huge range of 5 star hotels. These premium properties will going offer you amazing tour experience. 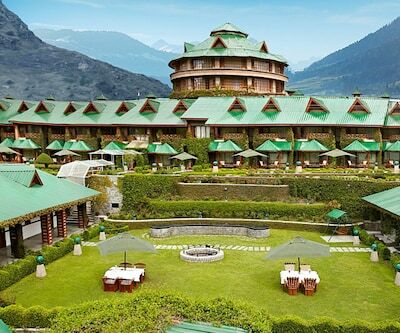 Travelers can stay at the anantmaya resort which is one of the best 5 star hotels in Manali. 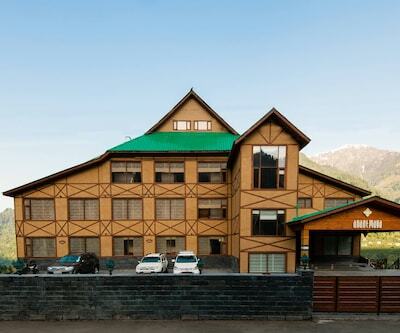 The hotel is situated at the Naggar Road, Po Prini in Manali. Nestled in the lap of Himalayas with lush green hillsides, the hotel offers well-groomed rooms which are perfectly designed and modified that catch every guest’s eyes. Manali Bus Depot is 5 km and Kullu Manali Domestic Airport is 47 km away from the hotel. The attached bathrooms in the hotel have hot and cold water facility. The team of skill professionals is always delightful for every guest. Famous tourist attractions such as Naggar and Naggar Castle, Hadimba Devi temple and Vashisht Temple are located close to the hotel. Hotel larisa resort also listed among 5 star Manali hotels. It is surrounded by the snow clad mountains and thick pinewood forest. The rooms in the hotels are tastefully maintained and clean. For facility to guests, the hotel offers Free Wifi, private balcony and comfortable room service. The hotel is located 16 km from Manali and 37 km from Kullu Manali Airport. Tourist places such Hadimba Devi temple and Railway Station are located near the hotel. 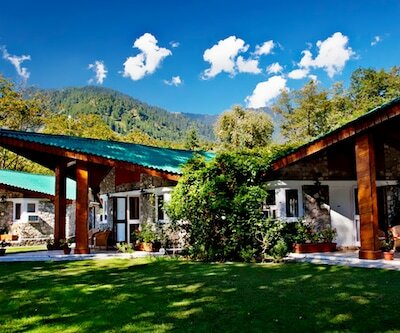 White Meadow by Mahindra Holidays is one of the 5 star hotels in Manali, which lies near famous Hidimba Temple. The rooms are beautiful maintained and is categorized as Duplex Room, Delux Room, garden suite etc. Consider the fun of guests the Hotel gives fine dining experience, with multi cuisine restaurant, Billiards Bar and Lounge, Chancellor bar. Manali Bus Depot is 6.7 km and Hadimba Temple is 8 km from the hotel. 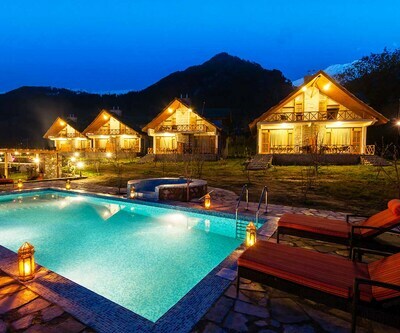 The list of finest 5 star hotels in Manali also includes Solang Valley Resort. The guests are facilitated with well-equipped gym, conference hall with all accessibilities like projectors, screen, microphones etc. Getting dining experience in a place named Dhaam, gives you unique experience and people can socialize here with a drink at the bar named little Malana. How far Mall road from Hotel Manuallaya The Resort Spa.? What is the cancellation policy for The Anantmaya Resort in manali.? Cancellation policy and refund varies from hotel to hotel and your check-in and check-out dates. You can check the policy below every room type as per your stay dates. Please tell me about 5 star hotels in manali.? The Himalayan hotel is the 5 star hotel in manali.